Our Welder are designed as high performance Band- Welding Machines by using the fully clamping capacity. 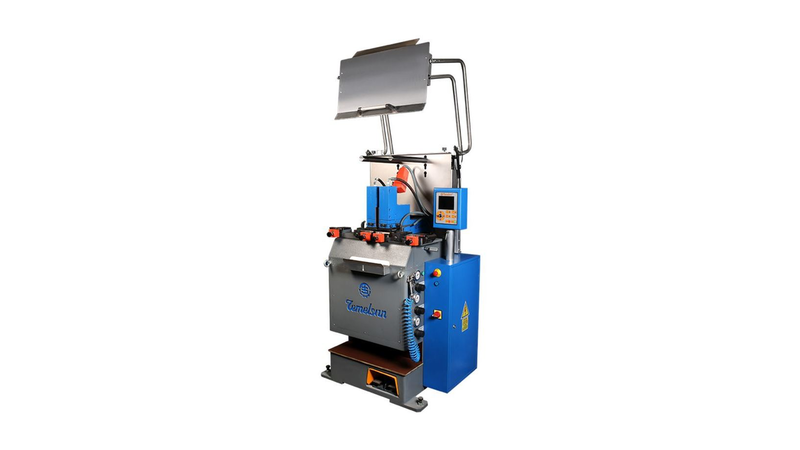 Our HBA and HBS Series are tested over 1 Year by Customers with over 40 years experiences and daily welding production of over 1000 welds per shift. HB S models as light Table type, HB A models as floor type with strong, heavy, compact body construction. Well arranged operating interface , PLC parameter control system with several programmable memory cells, convenient to insert the Band to weld, clamping system as an high pressure top-down system (no alligator clamping) very stiff construction. The new construction for easy servicing the jaws, adjustable Hydro-Pneumatic upset Pressure, new developed high pressure, adjustable the upset Speed through PLC Control panel, serially we are offering the annealing control by Pyrometer (300°C-1300°C) for HBA types, for HBS types as optional selection, fully atomized welding and annealing process through PLC Control System for both types.